To see video in a new tab, click on the image below. 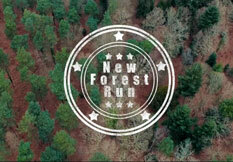 New Forest Run : John Salthouse, Gerry Newton & James Carline take the Triumph GT6 out for a run in the New Forest and put together a cinematic short film using drone, go pro and panasonic lumix footage. 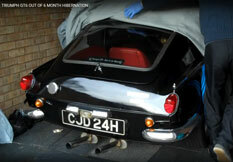 Richard Dane gets his superb MkII out from a six month hibernation. Another MkII comes out of it's garage for a run around the Dutch countryside. 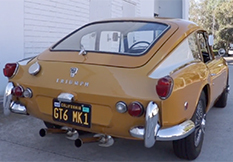 Richard Lentinello gives us an up-close and personal tour of his very own Triumph GT6. He explains his philosophy of caring for survivor cars, discussing the responsibility of stewardship that makes owning completely original cars so rewarding. 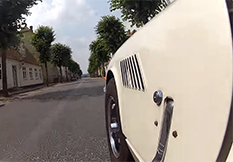 Triumph GT6 Mk 2 1969 Filmed in and around Christiansfeld, Denmark (Music stops at about 1:44) Triumph GT6 Pt 1 - A Dramatic Historical Overview (Film by Stephen VamVaketis ). 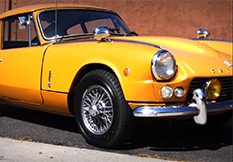 Once you view the James Bond parody portion of his short film, you will be treated to a comprehensive overview of how the Triumph GT6 came to be. 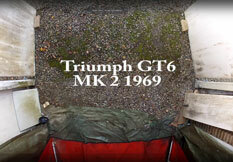 Triumph GT6 Pt 2 - A Close Look (Film by Stephen VamVaketis ). 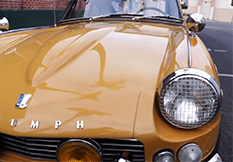 In part two of this three part film series, Car Junkies takes a close look at the Triumph GT6. 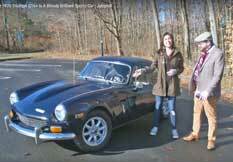 As a GT6 owner, he shares his views, opinions and first hand experience on owning and driving this great little sports car. 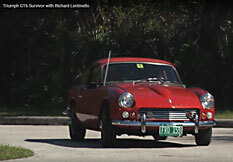 Triumph GT6 Pt 3 - A Closer Look (Film by Stephen VamVaketis ). 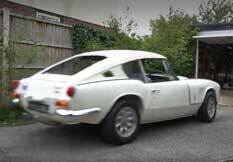 So, when's the last time you saw one of these British sports cars on the road? How about at a car show? I'll bet you haven't. I'm referring primarily to the USA. There are, however, a small but fair number of nice examples to be found in Great Britain. Al Gunnarson from Victoria, B.C. 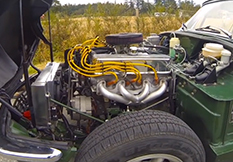 Canada has fitted a Rover V8 engine into his 1972 Triumph Gt6 Mk3 without needing to alter the bonnet! Superb sound too. The Mazda Miata that everyone loves is supposed to be based on old British sports cars like the Triumph GT6+. The thing is every time you see one on the road, you wonder—are these things actually good? Or are they just for weirdo masochists who like British things? Not very exciting, just yours truly putting his car away, after getting it out! The engine does sound awesome, though. (The o/s bonnet catch needs adjusting as it's not shut properly). There's an earlier video on my channel, but not in HD. 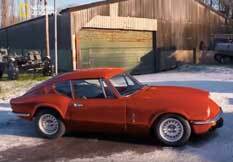 A recent Car SOS (Nat. Geo.) featured a GT6 Mk3 belonging to the late Andrew Ready. As usual an excellent program. Andrew said, and I quote "It's not just the shape, they are personalities". Car SOS Workshop Uncut - Triumph GT6 Engine Refurb. Fuzz Townsend seen below with Mark Field of Jigsaw International Triumph Specialists in Corby.